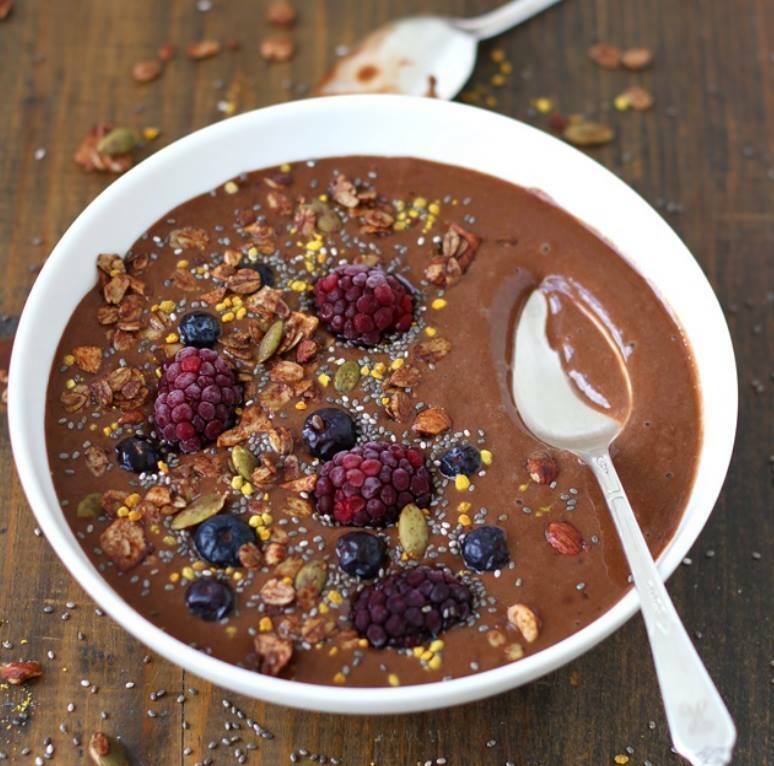 Smoothie bowls are all the rage now – and so far all the ones Ive seen are cold, which in Chinese medicine is not considered a great start to the day. Having something more heating rather than chilled, gets the digestive juices flowing and sets us up for good digestion and energy. I have been making this breakfast for many years now, and have it almost daily – it might seem odd for some, but give it a go and see what you think! Add boiling water to the protein and cacao and mix until its a smooth firm paste, not too runny. Add coconut oil and molasses (source of minerals, iron and a sweetener) and stir. Top with fruit, then with yoghurt and sprinkle cinnamon. This also works with stewed fruit if you are avoiding raw – paw paw, pineapple and kiwi all contain enzymes that aids digestion, so you may choose these as your fruit toppings.